– Four-time Boston Marathon winner Bill Rodgers giving his thoughts about the doping allegations that surround his former training partner and rival Alberto Salazar and the Nike Oregon Project. 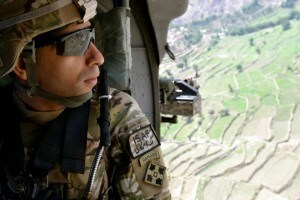 The article appeared on the front page of the Boston Globe on Friday. Al Sal talking big b4 Boston: Rupp has had "by far" his best prep & "will definitely be much harder to beat than last yr"
Which state would be the coolest to run across? Where do you keep your personal belongings when your racing? American-Jamaican Aisha Praught-Leer wins 3000m steeplechase at Commonwealth Games! 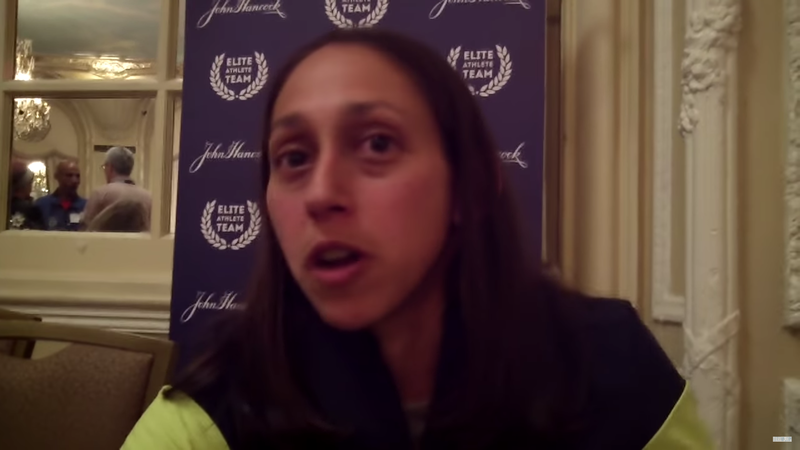 LRC The Elite Women Speak In Boston: Hasay Discusses Her Injury, Shalane feels as fit as before NYC & Desi thinks her “A” race is good enough to win Anticipation for the first American women’s victory in 33 years is very high as Molly Huddle, Shalane Flanagan, Desi Linden and Jordan Hasay all believe they can win. Find out what they had to say today. 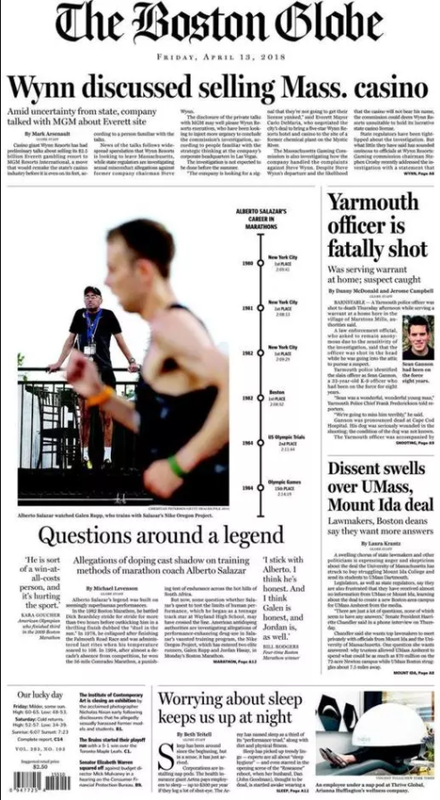 LRC 2018 Boston Marathon Men’s Media Day Highlights: Galen Rupp has run “significantly” more than before and gets front page Boston Globe coverage Get the inside scoop from Boston and learn why Galen Rupp may not be happy to show up on the front page of the Boston Globe this morning. IAAF Day 6 Recap: Caster Semenya And Joshua Cheptegei Complete Commownwealth Games Double Golds In The Women’s 800 And Men’s 10,000 Semenya dominated the women’s 800 with a championship record of 1:56.68 over Kenya’s Margaret Wambui (1:58.07) and Jamaica’s former NCAA champ Natoya Goule (1:58.82). 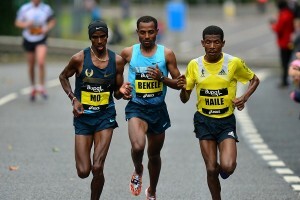 In the 10,000, Cheptegei just beat out Canada’s Mo Ahmed 27:19.62 to 27:20.56. World And Olympic Champ Conseslus Kipruto Leads A Kenyan Medal Sweep In The Men’s Steeplechase Kipruto added another global title to his collection and set a Games record with a 8:10.08 win over countryman Abraham Kibiwott (8:10.62). Katarina Johnson-Thompson Wins Heptathlon Gold For England She adds this to her World Indoor Pentathlon title and now will have a chance for triple gold in 2018 with the European Champs this summer. 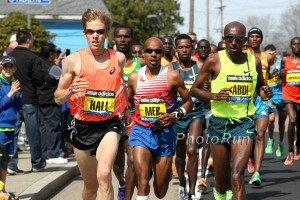 LRC Tyler Andrews: From 18 Minutes For 5k In High School To 50k World Record? Tyler Andrews couldn’t break 18 minutes for 5k in high school and was a “music nerd.” Friday he’ll attempt to break the 50k world record on the track. How did he get so much better? Our “Dreams Become Reality” podcast attempts to find out. IAAF Day 5 Recap: Kenya’s Wycliffe Kinyamal Gets Surprise 800m Win In 1:45.11 As Big Pre-Race Favorite Nijel Amos Leads For 500m And Fades To Last (1:48.45) England’s Kyle Langford and Australia’s Luke Mathews took the silver and bronze. Australia got two more gold medals from Kurtis Marschall in the PV (5.70m) and Dani Stevens in the discus (68.26m). Canada’s Christabel Nettey won the LJ (6.84m) and the British Virgin Islands’ Kyron McMaster (48.25) and Jamaica’s Janieve Russell (54.33) took 400H gold. England’s Zharnel Hughes DQed After Crossing The Line First In The 200m Hughes dipped ahead of Trinidad and Tobago’s Jareem Richards, but upon finishing his victory lap, Hughes found out he was DQed for impeding Richards. 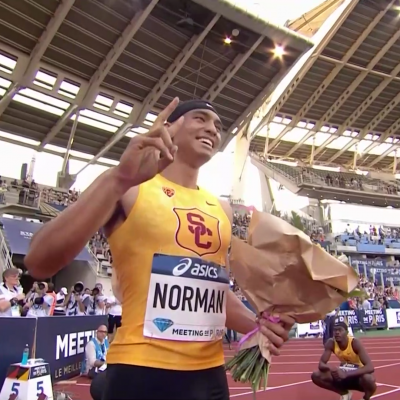 Richards got the win in 20.12 while Olympic 400 champ Shaunae Miller-Uibo won the women’s 200 in 22.09. Day 4: Aisha Praught Leer Wins Historic Steeplechase Gold For Jamaica With A Shocking 9:21 Victory Over Kenya’s World U20 Record holder Celliphine Chespol Praught caught Chespol on the final hurdle and beat her by 1.61 seconds. Kathryn Mitchell gave Australia a home gold with her 68.92m win in the javelin while South Africa’s Luvo Manyonga leapt to a 8.41m LJ gold. Australia got another gold from Brandon Starc in the HJ (2.32m). Former World champ Amantle Montsho won the women’s 400 in 50.15. The Guardian: “Tiny Island Nation OF England Is Not Doing So Good” England has had a bunch of key medal misses and is trailing Australia by 56 medals (Australia has more than double the number of golds). Usain Bolt Says He’s Excited To Support Jamaica As He Lands In Australia For The CWG So Bolt didn’t even show up for Yohan Blake‘s 100m final? Five Athletes From Cameroon Team Go Missing At Commonwealth Games They never even showed up for their competitions. Samsung And Papa Diack Accused Of Masterminding Secret Lobbying Plan For Pyeongchang 2018 Olympic Bid There are accusations that tech giants Samsung offered secret incentives in return for votes for Pyeongchang’s successful Winter Olympic bid. South African Court Dismisses Oscar Pistorius’ Appeal After 5 years and too many appeals to count, Pistorius’ case is finally over. He will now have to serve at least half of his 13-year sentence before he can be considered for parole. 2012 Olympic Hammer Champion Banned After Failing A Drug Test Hungary’s Krisztián Pars tested positive for a “non-performance-enhancing” substance so received a reduced ban through June 2019. New Survey Finds That The Majority Of Fans Believe Drug Cheats Are Most Likely To Be Found In Track 69% of fans polled thought track had a doping problem while weightlifting got 57% and cycling 54%. NCAA Athletes Of The Week Are Kentucky’s Tim Duckworth And Arizona State’s Maggie Ewen Duckworth joined the decathlon 8,000-point club while Ewen broke her own NCAA hammer throw record (74.53m) and put up the #2 all-time NCAA shot put (19.22m). Florida Men Stay At The Top Of The Updated NCAA Rankings While Texas Tech Jumps From 6th To 2nd Texas A&M dropped to 3rd, Georgia up to 4th, Houston and Oregon down to 5-6. Arkansas And Oregon Remain 1-2 In Updated Women’s NCAA Rankings Southern California moved up a spot to 3rd and Georgia from 9th to 4th. 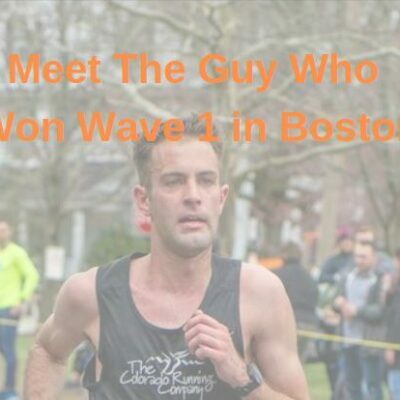 LRC LetsRun.com $200,018 Running Warehouse Boston Marathon Prediction Contest You too could be an American winner in Boston on Monday. Give us your top 3 from our scorer and the winning time. RWarehouse gift certificate and adidas sub 2 racing flat to winners. LRC Blowout Boston Marathon Coverage Starts Friday With 3 Straight Days Of 2 Hour Live Runner’s Digest Podcasts With Toni Reavis From Tracksmith Trackhouse There is one place to be for your Boston coverage this weekend. 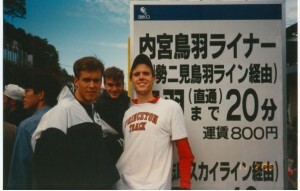 Actually two: LetsRun.com and the Tracksmith Trackhouse (if you’re in Boston). 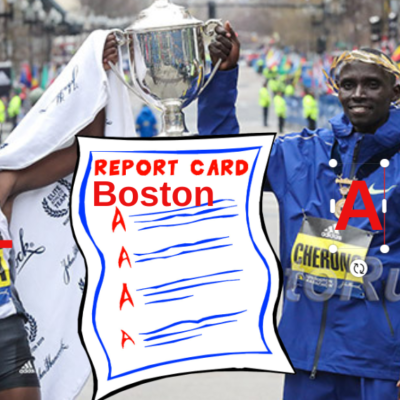 LRC Men’s Preview, Part I: Galen Rupp Seeks Revenge Against Defending Champ Geoffrey Kirui An American-born man hasn’t won the Boston Marathon since 1983. Galen Rupp enters Monday’s race in the form of his life, but will that be enough as the men’s field is a lot more difficult to win this year than last? LRC Men’s Preview, Part II: How Will The Americans Fare? We give you all you need to know on all the Americans not named Galen Rupp. LRC Women’s Preview: Flanagan And Hasay And Huddle And Linden, Oh My! 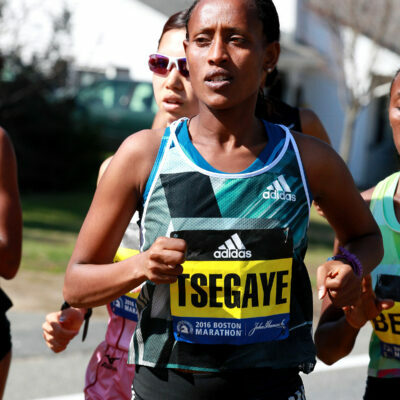 An American woman has never won the Boston Marathon during the professional era. That could change on Monday as a “Fantastic Four” from the USA takes on a shallow international field. The Inside Scoop LRC The Running Experts Sound Off & Tell Us Who Will Win Boston & Whether They’re Rooting For Galen Rupp We reached out to 8 of America’s top athletes/coaches and 6 got back to us with their feelings about the Boston Marathon which will take place next Monday. 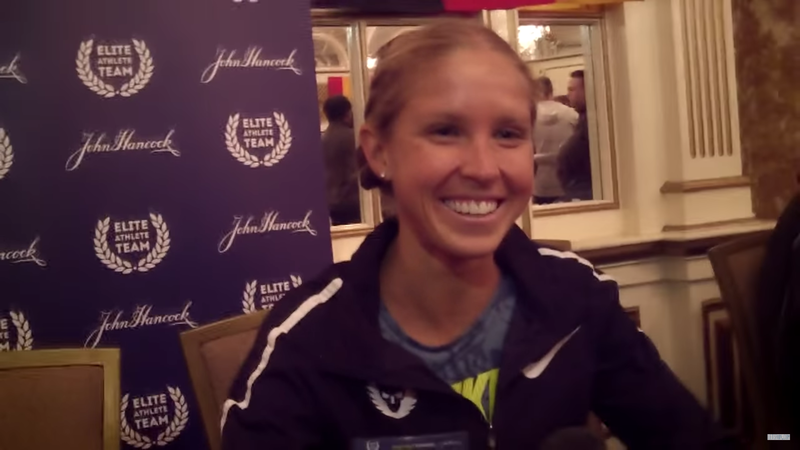 Most expect big things from Molly Huddle in the women’s race and Galen Rupp in the men’s. Recommended Read: Boston Globe: “As The Celebrated Coach Alberto Salazar Faces Doping Allegations, A Shadow Is Cast Over Two Of His Elite Runners Competing In The Boston Marathon” 1,600 words on Salazar and the NOP doping investigation. Includes some thoughts from former Boston winners Greg Meyer, Bill Rodgers and Amby Burfoot, who all defend Salazar to some extent. MB: Dathan Ritzenhein OUT of 2018 Boston Marathon Ritz picked up a SI joint injury last week. Saturday: BAA Announces Fields For 5K And Mile: Ben True Faces Hagos Gebrhiwet And Eric Jenkins Ethiopia’s Buze Diriba and Emily Sisson leads the women’s 5k while Drew Hunter and Nicole Sifuentes head the mile fields. Update: Emily Sisson has scratched. May 25: Nijel Amos Vs. Donavan Brazier Will Headline Pre Classic 800 Also Erik Sowinski, Poland’s World silver medalist Adam Kszczot and bronze medalist Kipyegon Bett. April 28: Drake Relays To Feature Most Paralympic Events Since 2012 There will be four Paralympic events: women’s wheelchair 100 and 400 and men’s ambulatory 100 and 200. LRC 30 Years Ago, Belayneh Densamo Ran the First Sub-2:07 Marathon, Erick Kiptanui And Joan Melly Are Half Marathon Stars Ridiculous road action including Betsy Saina getting it done in Paris. Will Mt. SAC Lose The 2020 Olympic Trials? Times Of San Diego: City Lawyer Says “Mt. 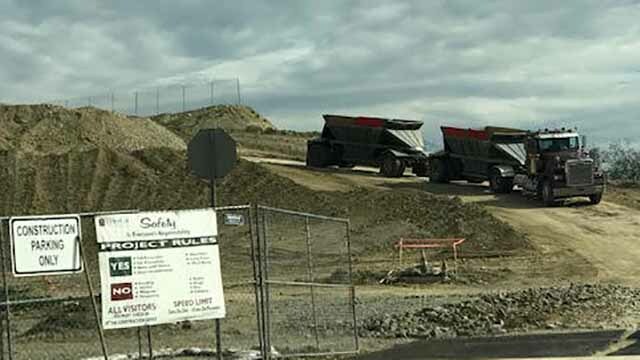 SAC Will Never Complete The Stadium Project In Time For The 2020 Olympic Trials” Along with everything else, there is accusations that illegal construction continued two weeks after a judge ordered it to halt. Ken Goe Asks If The 2020 Olympic Trials Might Return To Hayward Field After All? Mt. SAC is currently facing legal battles which has delayed construction and an attorney has predicted the stadium won’t be done in time for the 2020 Trials. 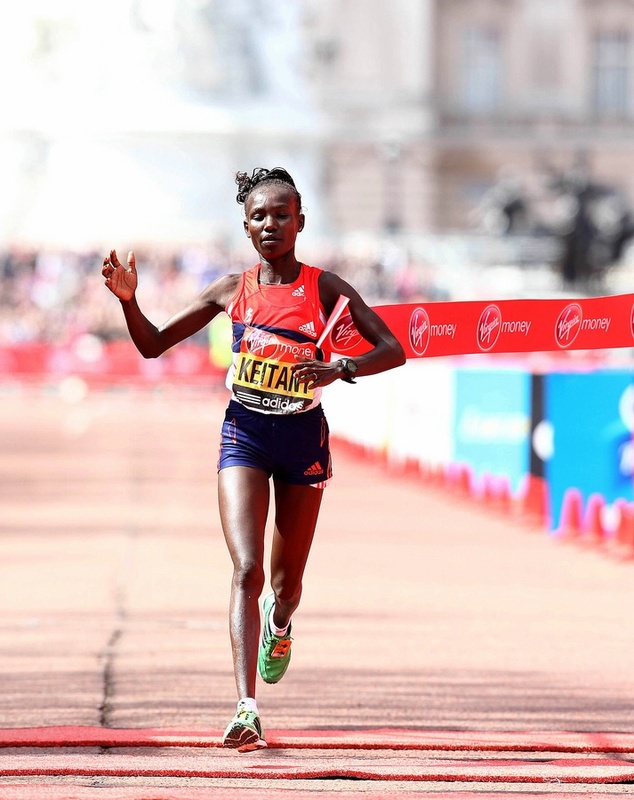 May 6: Leonard Korir And Aliphine Tuliamuk Will Headline The 2018 USATF Half Marathon Championships Hosted By The Pittsburgh Half Korir will face 59:36 man Samuel Kosgei (PR from 2009), Matt Llano and Parker Stinson while the women’s race also has 2015 Pan American Games Marathon silver medalist Lindsay Flanagan and Lindsey Scherf (71:45). 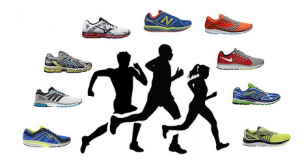 LRC The Best Of LetsRun.com: We’re Giving Away 4 Pairs Of Shoes To Needy High Schoolers Thanks To The Winner Of Our Running Warehouse Prediction Contest The winner of our indoor prediction series is giving away his prizes. LRC Meet The Winners Of Running Warehouse Indoor Prediction Contests – One Guy Has A Chance To Win The NCAA Triple Crown Of Prediction Contests Yes, the winner of our NCAA XC contest also won our NCAA indoor contest. Pretty amazing. Day 3: Caster Semenya Storms To Commonwealth Games 1,500 Title Semenya ran 4:00.71 to set a championship record and dominate Kenya’s Beatrice Chepkoech (4:03.09) over the final 150m. *IAAF Recap: Jamaica Strikes Back With Double Gold From Ronald Levy (110H) And Kimberly Williams (TJ) In the 400, Isaac Makwala got redemption from last year (where he wasn’t allowed to race the World 400 final) by taking gold here in 44.35. Grenada’s Lindon Victor won the decathlon and Nijel Amos was the fastest through the 800 heats (1:45.12). *England’s Olympic Bronze Medalist Hammer Thrower Sophie Hitchon Had A Nightmare Final As She Fouled All Three Of Her Attempts New Zealand’s Julia Ratcliffe won the event with 69.94m. Day 2: Akani Simbine (10.03) Upsets Yohan Blake For 100m Gold The women’s 100 went to Michelle-Lee Ahye (11.14). Tom Walsh also won the shot put as expected. Day 1 CG: MB: Joshua Cheptegei Runs 3:58 Final 1,600 To Beat Mo Ahmed For 5,000 Gold Wisco star Morgan McDonald was a well-beaten 8th.